Researchers at the Tulane University and at Boston University published a study to determine how superstitious beliefs on lucky objects affect how people achieve a performance goal compared to a learning goal. Performance goals are goals where success is dependent on other people like an applause after a performance or getting good grades after taking a test. Learning goals are judged internally like learning to play a guitar and mastering a music piece. The researchers conducted six experiments to test whether superstitious beliefs and behaviors have an affect on the type of achievement goal. They studied participants behavior in using "lucky" items to achieve a goal on various conditioning trials. They also noted participants choices in using these items given their certainty/uncertainty of achieving the goal as well as measuring their confidence in reaching that goal. They find that participants who are primed for a performance goal strongly prefer using lucky items compared to participants who are primed to pursue a learning goal. Participants who were assigned to use a lucky item have more confidence in achieving a performance goal but not a learning goal. The researchers, in their study, did not cover whether the belief in these superstitions have an actual effect on performance but do note an increase in the subjects confidence when participating in the trials. There were no reported performance improvements on the study trials. Their research is published in Personality and Social Psychology Bulletin. 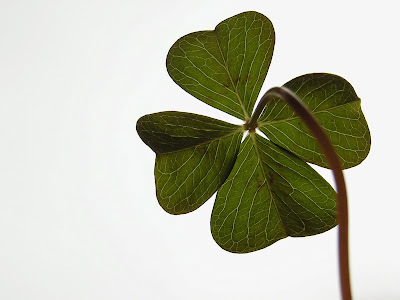 It might be a lucky pair of socks, or a piece of jewelry; whatever the item, many people turn to a superstition or lucky charm to help achieve a goal. For instance, you used a specific avatar to win a game and now you see that avatar as lucky. Superstitions are most likely to occur under high levels of uncertainty. Eric Hamerman at Tulane University and Carey Morewedge at Boston University have determined that people are more likely to turn to superstitions to achieve a performance goal versus a learning goal. Their research is published in Personality and Social Psychology Bulletin. Performance goals are when people try to be judged as successful by other people. "For example, if I'm a musician, I want people to applaud after I play. Or if I'm a student, I want to get a good grade," explains lead author Eric Hamerman. Performance goals tend to be extrinsically motivated, and are perceived to be susceptible to influence from outside forces. Learning goals are often judged internally. "For example, a musician wants to become competent as a guitar player and perceive that he/she has mastered a piece of music," Hamerman says. Since learning goals are intrinsically motivated, this leads to a perception that they are also internally controlled and less likely to be impacted by outside forces. The researchers conducted six experiments to test whether the type of achievement goal would change the likelihood of engaging in superstitious behavior. Study 1 examined reliance on luck by testing preferences for items that were established as lucky or unlucky in a series of conditioning trials, and asked participants to make a choice of which item to use in the pursuit of an achievement goal. In Study 2, participants chose whether to view a "lucky charm" before pursuing an achievement goal. In Study 3, participants were randomly assigned to either a superstition condition where they were informed a pen had been associated with prior success (lucky), or a control condition (no reference was made to its past history). Participants were then asked to rate their preference to use the item in a performance or learning goal. In study 4, video game avatars were associated with success or failure in a game scenario, and participants were observed to see if they had a preference between avatars when pursuing a performance or learning goal. The final two studies explored the drivers and consequences of the effect. In Study 5, conditioning trials established positive or negative associations for a number of items. Participants then had to choose an item to use in achieving a performance or learning goal that they were certain or not certain to achieve. Study 6 assigned participants to use an item that had previously been established as lucky or unlucky, and measured their confidence in achieving a performance or learning goal. The first four studies demonstrate that people use superstitious behavior to help achieve both chronic and temporary performance goals, but not for help achieving a learning goal. "Previous research has shown that when a goal has high uncertainty (i.e., I'm not sure if I will be able to achieve it), people are more likely to turn to superstition. When performance goals become more uncertain, people use superstition to help achieve them. However, increasing the uncertainty of learning goals does not affect whether or not people turn to superstition," Hamerman explains. Participants primed to pursue a performance goal before taking a quiz had a stronger preference for a lucky pen than a pen positively associated with intelligence, whereas participants primed to pursue a learning goal did not exhibit a stronger preference for either pen. Participants in Study 6 found that participants assigned to use a lucky rather than unlucky avatar exhibited increased confidence in achieving a performance goal but not a learning goal. Hamerman cautions that the research does not investigate whether belief in superstitions has an effect on actual performance. "We show that using superstition increases people's confidence in achieving performance goals, and it is certainly possible that under certain circumstances, increased confidence may lead to improved performance. However, we acknowledge that superstition is not a rational way of actually helping to achieve such goals, and the purpose of the research is not to recommend superstition as a method of goal achievement," Hamerman adds. While participants may have experienced greater confidence, there was no reported performance improvement on quizzes in Studies 1, 4, and 5 among participant groups.